Quick steps for parents/students using the online athletic clearance process. Prepared for: Athletic Directors, Athletic Assistants, and Parents/Students. Read the instructions document and then visit www.athleticclearance.com to get started. NOTE: With the 2019 Track & Field season fast approaching please make sure your athletic clearance is current. You will not be able to participate if you have not been cleared! If you have already participated in a sport this year you will need to stop by the Athletics office and ask the Athletics Secretary, Janet Cutler, to please activate you for Track & Field. Thank you for volunteering your time, and your automobile, to help transport our Students to off-site events or activities. In order to protect the health and safety of our Students, our District requires that anyone (employee or volunteer) using their personal automobile to transport Students to and from sanctioned activities must receive prior approval. Before we can issue such approval, certain information must be obtained at least fifteen (15) days before you transport our Students. You must also agree to abide by certain rules regarding the operation of the vehicle as set forth below. Any person wishing to volunteer at a school site, be a chaperone on a school field trip, drive as a chaperone on a school function, or work with any school clubs, must be fingerprinted at the San Juan Unified School District’s fingerprint desk located in the Human Resources Department at 3738 Walnut Avenue in Carmichael. Please report to the main District Administration building and check in with the receptionist upon arrival. The fingerprint desk is open between the hours of 9:00 a.m. – 1:30 p.m., daily, except holidays, weekends and Fridays in the month of July. A request for fingerprint services (Request for Livescan Service – Applicant Submission) must be obtained at the school site. Please see Karen Cassady, Principal’s Secretary, for the form. This form must be signed off by the Principal and be in original ink. Please note: There is no charge for fingerprint services for parent volunteers. Please fill out the applicant information required, check volunteer and note Rio Americano High School as the school location. The applicant will then take the form and a valid driver’s license to the San Juan Unified School District Human Resources Department, fingerprint desk to be fingerprinted. If you have any questions regarding fingerprint services or if you want to verify if your fingerprints are on file, please contact Karen Cassady at 916-979-8860 or visit www.sanjuan.edu. 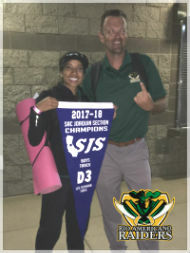 RAAB is the “Rio Americano Athletic Boosters.” RAAB is a booster run organization that raises money to support athletic programs at Rio Americano High School. RAAB pays the modest stipends of most freshman and junior varsity coaches. San Juan Unified School District funding is inadequate to cover the number of sports teams offered at Rio. Without RAAB these coaches would not be paid and the sports they coach probably would not be available for students to participate in at Rio. RAAB also helps to pay for other important needs of Rio’s athletic programs.